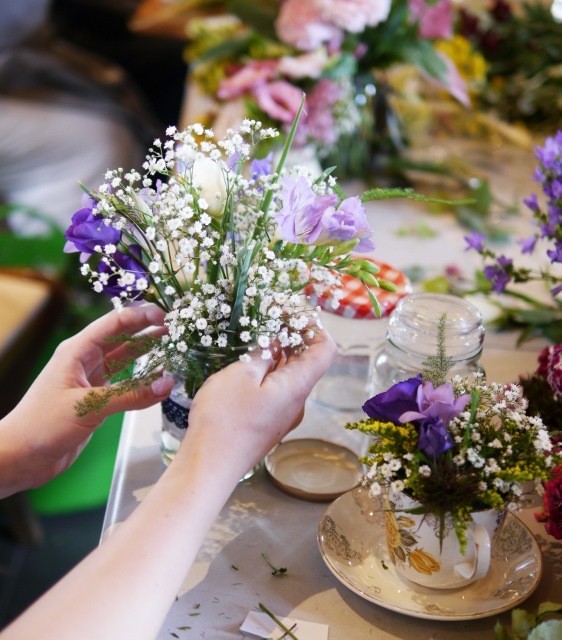 For the last three weeks I’ve had such a lovely time teaching a short course in flower arranging at The Freewheel in Graveney, which is just down the road from my home town of Faversham in Kent. 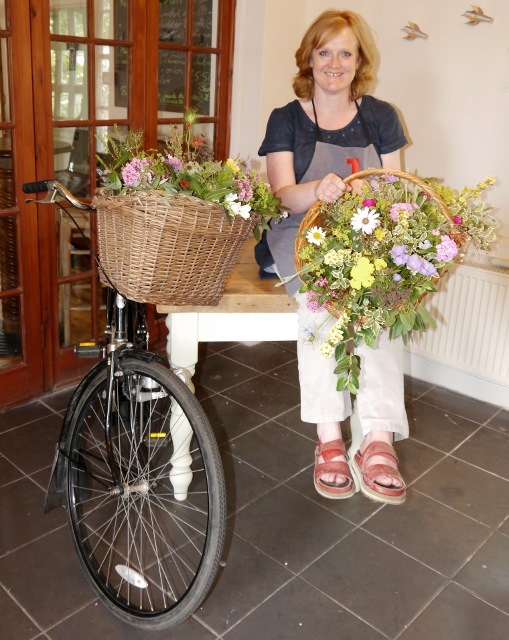 The pub has recently been re-opened by Adrian Oliver of Cycling Age – which is a Community Interest Company dedicated to helping more people to discover the joys of cycling. It’s in a great location on the Sustrans National Cycle Route No.1 linking Faversham and Canterbury. 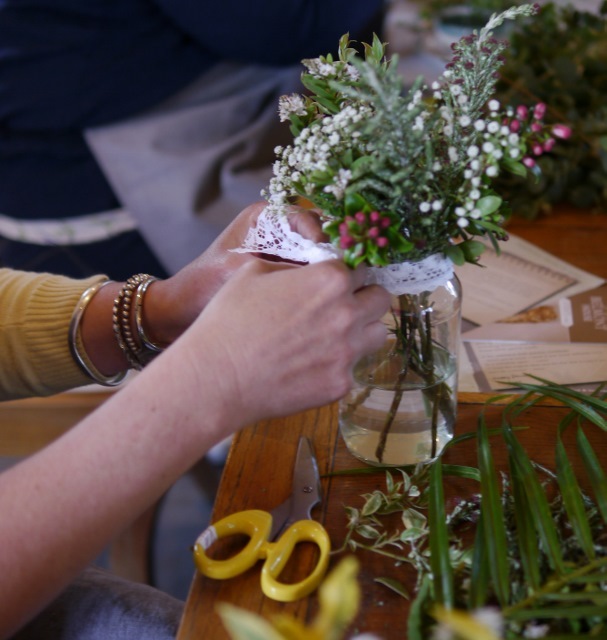 The bike workshop at The Freewheel was transformed into a “pop up” flower school – it was a great space to work in. And made event better by the light lunches and homemade cakes we enjoyed after each class. 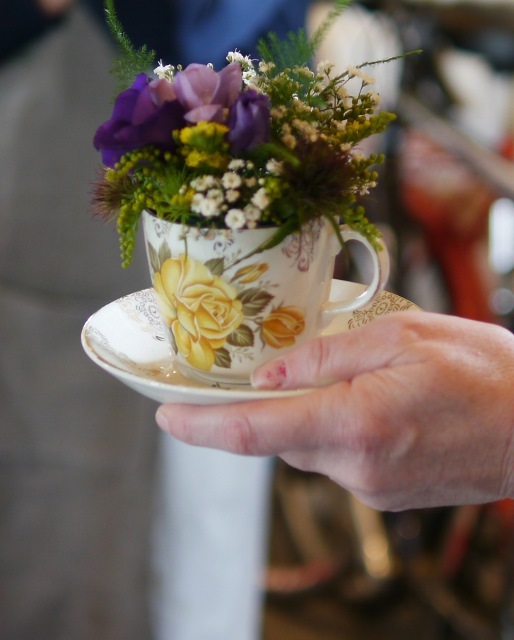 Over the weeks we arranged flowers in vintage tea cups and saucers, jam jars, vases and baskets. Even the Mayor of Canterbury’s bike got a floral overhaul! 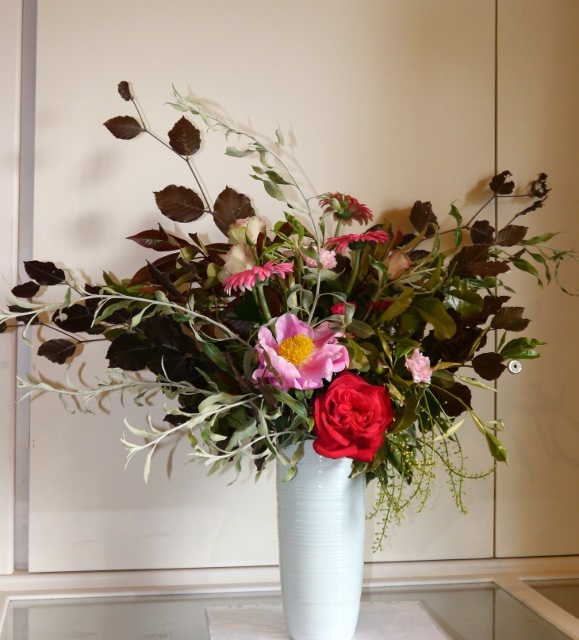 Huge thanks to Carol for allowing me to include her photos in this blog.